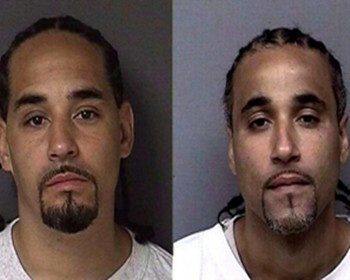 A man who spent 17 years in prison for crimes committed by a lookalike has been awarded a $1.1 million settlement by the state of Kansas. Kansas Attorney General Derek Schmidt announced last Wednesday that he had agreed to a resolution with Richard Jones, who was imprisoned in 2000 for an aggravated robbery he did not commit. Jones was convicted of trying to steal a purse in the parking lot of a WalMart in Roeland Park, Kansas. There was no physical evidence, DNA or fingerprints that linked him to the crime, and he had an alibi -- he was at his girlfriend's home in Kansas City. But, two eyewitnesses misidentified him, telling police that either a light-skinned Hispanic or African-American man committed the crime and picking him out of six mugshots. He was released last year after the Midwest Innocence Project and the University of Kansas School of Law helped uncover the wrongful conviction. A judge ordered him released after witnesses, including the robbery victim, could not tell him and another inmate in the system, Ricky Amos, apart. Amos and Jones are close in age, have similar skin tone, the same facial hair and cornrows.